With rising monthly premiums and rising prices on many prescription drugs, Americans are paying more this year on healthcare than they may have expected. The Affordable Care Act has increased access to coverage but many plans come with a higher price tag. The lowest-cost ACA plans, known as bronze and silver plans, cost just over $200 a month. However, bronze and silver plans also carry higher deductibles, which can range between $6,000 and $12,000 as of 2017. A deductible is the amount an individual must pay out-of-pocket before insurance kicks in. Additionally, monthly payments for health insurance may increase by up to 22% this year. This means that a 40-year-old on a bronze plan will have to pay around $350 each month with $6,600 deductible. Those who cannot afford health insurance may qualify for subsidized federal health plans such as Medicare or Medicaid. These plans, however, limit patients to in-state hospitals where the level of care could be poorer while still being subject to out-of-pocket expenses. Under any plan, an unexpected visit to the ER can throw a wrench in your healthcare budget. This was the case for single father Vinny Nicoletti, who rushed his son Devin to a New Jersey hospital after a fall. He didn’t check if the hospital was covered by his insurance. The total bill came to $14,107.09 for four stitches. The best way to save is prevention. Staying healthy through exercise and a proper diet pays dividends in healthcare savings. However, as a population, Americans may be getting sicker overall. According to the American Heart Association (AHA), almost half of the population will have a heart disease-related condition by 2035. AHA President, Dr. Steven Houser, says heart disease and its complications are spreading more rapidly that anticipated. The second biggest cause of death in the US is cancer, followed by stroke, diabetes, influenza and kidney disease, among others. Most of these conditions require costly medical treatments, specialized procedures and hospital stays. Mental health is also a growing concern. In 2016, one in six Americans was taking a psychiatric prescription drug. This is up from 2011, when one in ten individuals used anti-depressants like Zoloft or sleeping pills and sedatives like Ambien and Xanax. Approximately 39% of Americans will be diagnosed with some form of cancer in their lifetime. Breast cancer, prostate cancer, and lung cancer are just a few of the most commonly diagnosed in the US. An estimated 12% of women will be diagnosed with breast cancer alone. What does it cost to treat some of the most serious conditions? For women at high-risk of developing breast cancer, a preventative mastectomy can cost from $15,000 to $50,000. Chemotherapy costs can range from $10,000 to over $100,000. 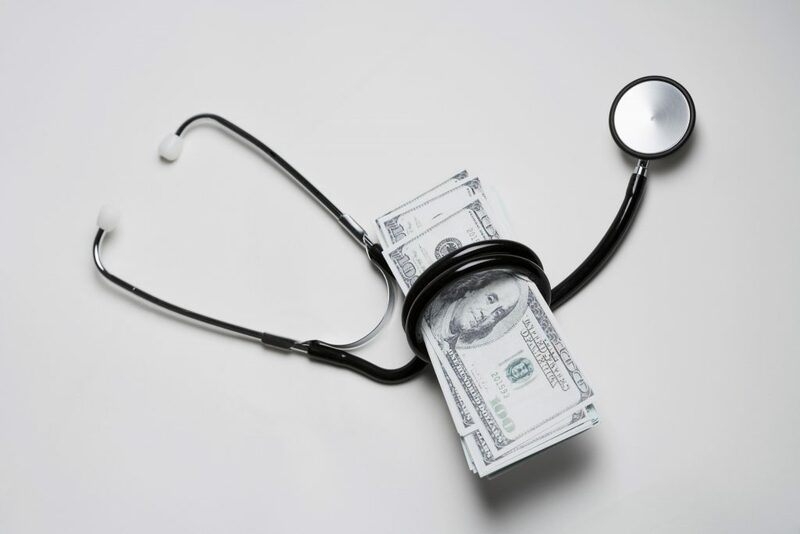 Although health insurance should cover the majority of treatment costs, patients may still find themselves paying for a portion of their doctor’s visits, lab results, surgery and other procedural payments. Experts agree that medical costs will continue to rise in 2017 – from routine appointments, hospital care and treatment plans to prescription drugs. According to one estimate, healthcare spend in the US will grow faster than the national economy. Growth was projected to average 5.8% from 2015 to 2025 – hospital and doctor care accounting for over 50% of the spend. Prescription drugs cost more in the US than anywhere else in the world, accounting for about 10% of overall health spending. For example, EpiPen, an injection to treat severe allergic reactions, costs over $600 in the US but only $290 in Canada. Another drug, Crestor, which treats high cholesterol, costs $730 in the US but is only $160 across the border.